If you’re a Costco member, by now you’ve heard that Costco will begin accepting Visa cards this summer and no longer accept American Express cards. At the same time, Costco Amex cardmembers will also be transitioned to new Visa cards from Citi. What are the benefits of the new Citi Costco Visa cards? Up until today that was a mystery. But finally, we know the details and quite frankly, they’re a pleasant surprise. 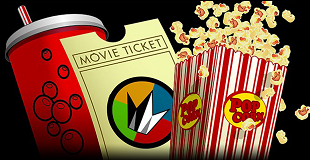 Through March 11, 2016 or while supplies last, you can receive a $10 Regal Entertainment Group eGift Card when you spend at least $10 on a single transaction with your registered Visa credit card at a Regal Entertainment Group theatre. Regal Entertainment Group theatres include Regal Cinemas, Edwards Theateres and United Artists Theatres. Through February 7, 2016 or while supplies last, when you use Visa Checkout to load a new or existing Dunkin’ Donuts Card with a minimum of $25, you’ll receive a bonus of $10 loaded on your DD Card. 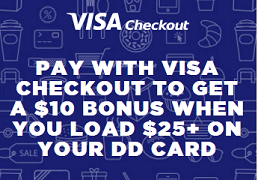 To receive this bonus, you may load your card either online at dunkindonuts.com/visacheckout or through the Dunkin Mobile App and paying with Visa Checkout. 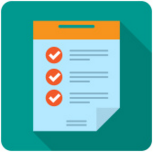 Limit one $10 bonus load per customer and per payment card number (regardless of number of Visa Checkout customers sharing the same card number). The maximum value that can be loaded onto a Dunkin’ Donuts card (including the $10 promotional bonus) is $100. The $10 promotional bonus will be added to your account automatically after the qualifying load/reload. Want to see Star Wars but don’t want to pay full price? Here’s the perfect offer to make your trip to the theater a bit more affordable. 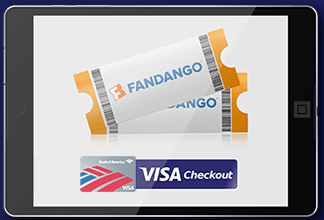 Today, December 20 only, you can get a free movie ticket on Fandango when you buy 2 or more tickets using Visa Checkout. 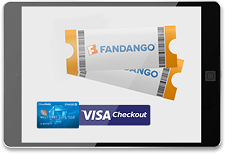 To take advantage of this promo, order two or more tickets in a single transaction on fandango.com or via the Fandango app, then enter promo code MOVIETICKETS before selecting the Visa Checkout option. This offer is valid to see any movie at Fandango partner theaters in the US. Limit one per person. The price of the lowest cost ticket and one convenience fee will be deducted from your order (up to $25). For full details on this Visa Checkout offer or to purchase tickets, see this link. Through November 29, 2015 or while supplies last, you can get $25 off your online order of $100 or more when you pay with Visa Checkout at Staples.com. This promo is valid online only and is limited to one coupon per customer. Gift cards, unfortunately, are not considered eligible purchases for this offer. Other exclusions and complete details can be found at this link. Today only, or while supplies last, you can get 11% off your entire purchase (up to $11 max discount) at Newegg.com when you pay with Visa Checkout. 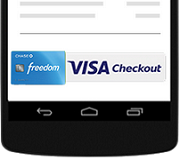 To receive this discount, enter promo code VCOSINGLE15 at checkout, then pay with Visa Checkout. Pre-orders and gift cards are not eligible for this discount. BuyDig.com is separately offering its own Visa Checkout deal valid through November 18 or while supplies last–you can get $25 off orders of $50 or more with coupon code: VISAVET25. Many exclusions apply and this offer is limited to the first 10,000 orders.